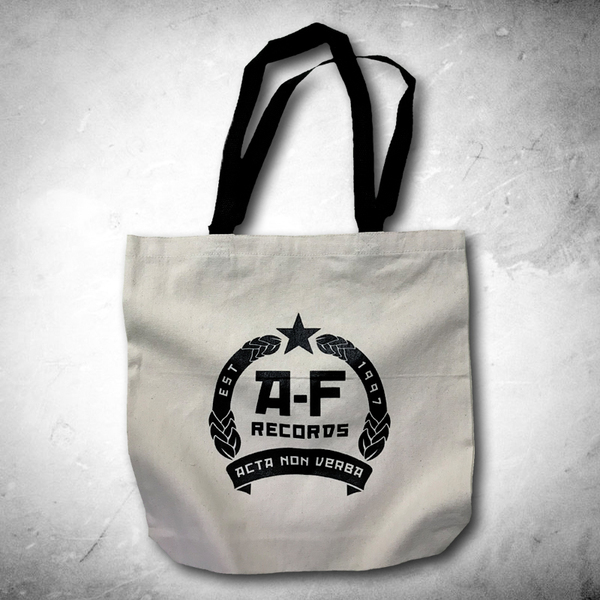 A new canvas tote bag that's perfect for every day use, storing records, and letting everyone know that the Alt-Right can f*** off! 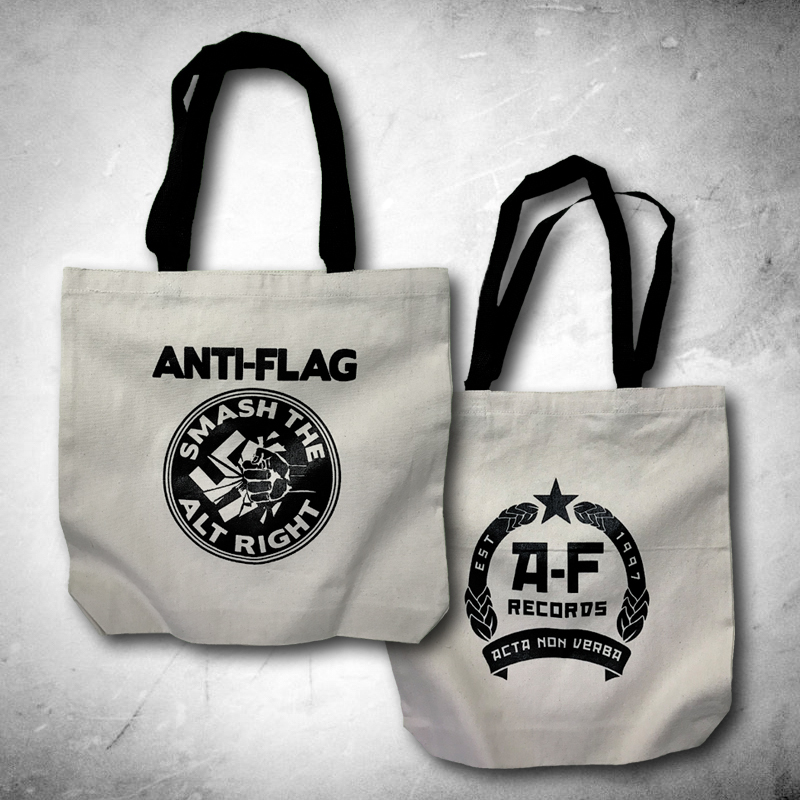 Reverse side features Anti-Flag's record label, A-F Records. 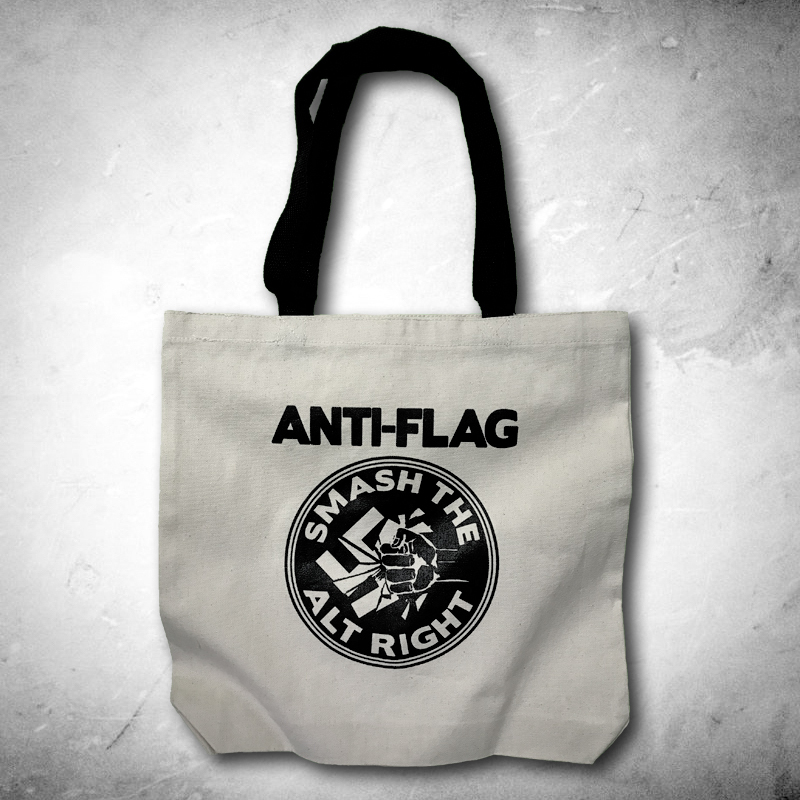 Hey, that's us!